Release dates for Pre-Order Sales are subject to change due to manufacturer delays. We May Also Request Further Information to Process Your Order.and many many more cool products to rock out. 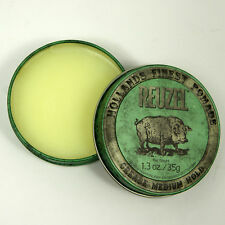 Applying Reuzel Pomade: Work an ample amount of Pomade between thepalms of your hands until it softens and then apply thoroughly throughthe hair from roots to ends. Style: Simply comb, brush or hand style into the desired shape. The Red Pomade is known for providing high sheen to the hair. 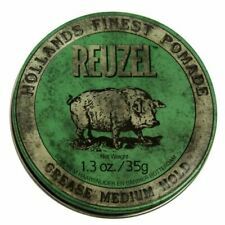 Red Pomade is strongest when applied to dry hair, for a heavy hold, blow dry the hair before applying. For a lighter hold, simply towel dry before applying.